Afield 'Aaron' Men's 1960s Mod cotton crepe yarn polo shirt in pristine. Retro textured link and rib knit construction creates a subtle Vintage look. 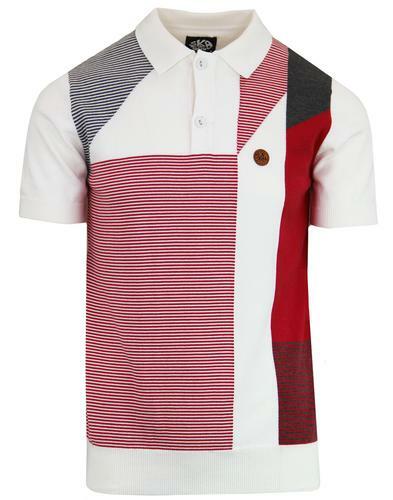 Intricate waffle detail accompanied by finer gauge stripe details create that authentic 60s Mod look. 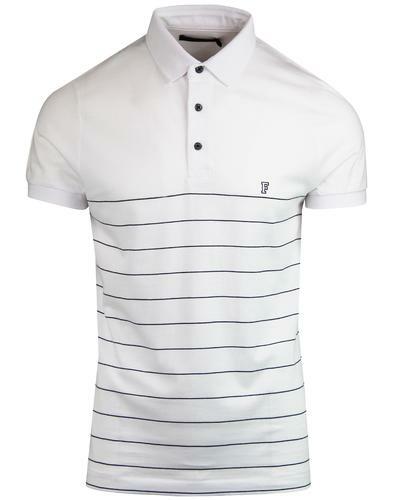 Retro wooden button detail to the placket and wide spread polo collar finish the garment off in style. 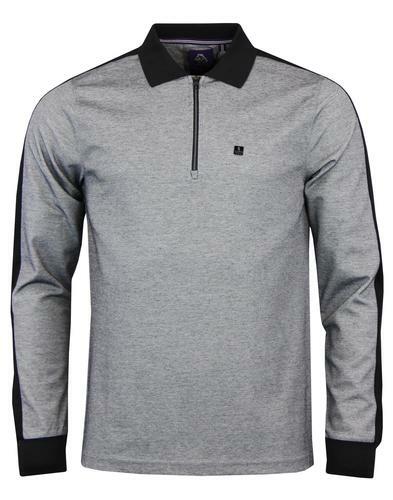 The Afield 'Aaron' medium-heavyweight knitted polo shirt is ideal for the colder months. Shades of Ivy League and Americana styling to accompany the refined Mod look. 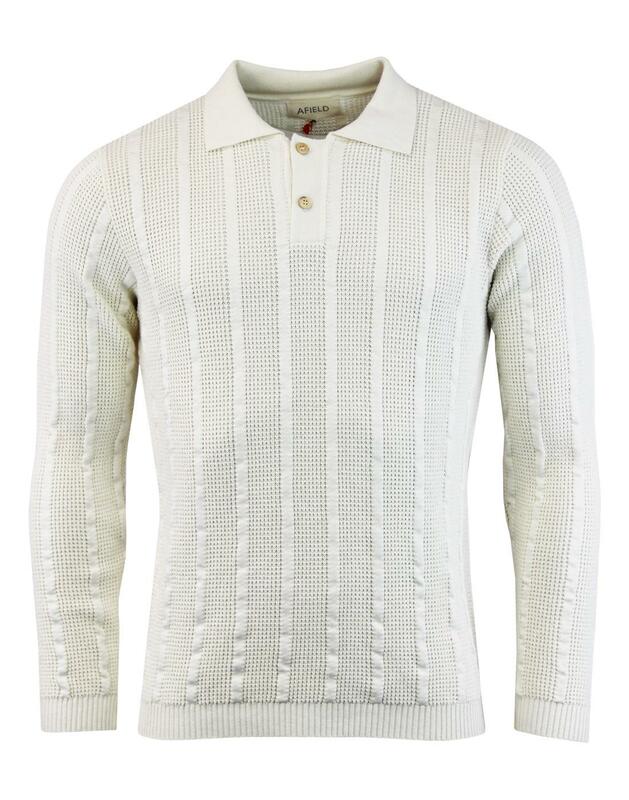 - Afield 'Aaron' men's 60s mod waffle stripe knit polo shirt in pristine (cream). - Textured link and rib stitch. 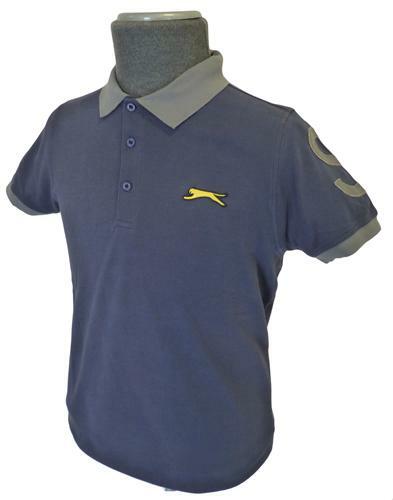 - Medium-heavyweight knit polo crafted from cotton-crepe yarn. - Wooden buttons to placket. 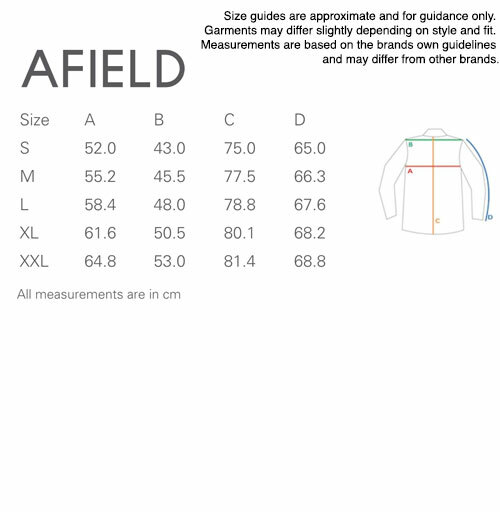 - SKU: AFKN024 Aaron Crepe L/S Polo Shirt.